What is a Florida DUI lawyer? A Florida DUI lawyer is an attorney, barred in the State of Florida, who represents clients who have been charged with Driving Under the Influence of alcohol. DUI is serious offense and although it is not categorized as a criminal offense it can have long standing ramifications to your employment, driving, finances, and education far into the future. A DUI in the State of Florida is categorized as “proved impairment of normal faculties or unlawful blood alcohol or breath alcohol level of 0.08 or above.” Depending on your weight and gender it could take as little as 1 alcoholic beverage to put you over the 0.08 threshold. It is often the case that someone who just goes out to dinner and has a glass of wine, or two, will be pulled over and arrested for a DUI. When this happens you will definitely need the help of a Florida DUI Lawyer. Florida DUI lawyers know the ins and outs of representing you in a DUI case, the strategies involved, what questions to ask, and how to investigate the matter thoroughly so that you will stay out of prison and maintain your driving privileges. 2nd offense: no less than $1000 fine and no more than $2000; not more than 9 months imprisonment; impoundment of your vehicle for 30 days; and revocation of your license for a minimum of 5 years. 3rd offense: no less than $2,000 fine and no more than $4,000; mandatory 30 days imprisonment not to exceed 12 months; impoundment of your vehicle for 90 days; and revocation of your license for a minimum of 5 years, not to exceed 10 years. Why do I need a Florida DUI lawyer? If you, or someone you know, has been arrested for Driving Under the Influence then it is imperative that they contact a Florida DUI lawyer immediately. Driving Under the Influence of alcohol has a stigma attached to it unlike most any other violation, even some felonies. Hiring a Florida DUI lawyer will not only keep you out of jail and keep your driving privileges but a Florida DUI lawyer can make it so you don’t have to be shamed by a DUI charge, pay higher insurance premiums or risk losing employment or education opportunities. There are many different ways that a Florida DUI lawyer can help you in attacking your DUI charge. The Florida DUI lawyer will be able to get the records for calibration of the machine, argue the invalidity of testing, illegal searches and stops, studies proving the invalidity of breathalyzers, and arguing the disciplinary record of the police officer who conducted the arrest. Some Florida DUI lawyers will tell you that you should always refuse a breath test. Although this is something that you will want to discuss with a Florida DUI lawyer; refusing to take a breathalyzer test is considered an assumption of DUI and you will be arrested. On the other hand, if refuse to take a breathalyzer test then there will be no evidence of your intoxication other than police reports, video from the police department, results of field sobriety and the testimony of the police officers. Your Florida DUI lawyer will know have the best answers to determine what is the best route. If you are, in fact, driving under the influence of alcohol a Florida DUI lawyer will be in the best position to help you plead down your penalties. The penalties associated with fines, imprisonment, and revocation of licenses are a “not more than” standard. This means that you can not be penalized for more than the designated period of time but the penalty can be anywhere below that. Your Florida DUI lawyer will be able to argue on your behalf to get penalties reduced so that you can drive to work, stay out of prison, or even get license suspensions reduced to as much as 3 months if not completely. Where do I find Florida DUI lawyers? If you live in Florida, or your offense has taken place in Florida, and you need a Florida DUI lawyer there are many routes you can take. Almost all law firms have websites that can be easily accessed through a rudimentary internet search. These websites will often give detailed descriptions of the Florida DUI lawyer’s education, certificates, areas of practice, and results that they have attained through representing clients charged with DUI. However, these websites are “advertisements” in that they are designed to best represent the lawyer and should not be taken completely by their word. If you feel that the search for a Florida DUI lawyer is overwhelming, or you don’t have the time to make a detailed search then you may want to take advantage of a referral service. The Florida Bar Association operates a referral service at www.floridabar.org. The service is free to use and can be very helpful in retaining a Florida DUI lawyer. When accessing the referral service you will be prompted to input data into the required fields. Once that is done someone from the Florida Bar Association will contact you to refer you to a Florida DUI lawyer in your area that will be helpful. There is no cost for the referral but the Florida DUI lawyer that you are referred to may charge $25 for a half hour consultation. After the consultation it is up to you and the Florida DUI lawyer to decide upon the details of representation. The Florida DUI lawyer is under no obligation to take on your case and you are under no obligation to retain the Florida DUI lawyer. Laws.com also has a valuable referral service. By going to the top of this page and clicking on the “find a lawyer” link you will be able to access the laws.com referral service. By inputting your name, location, contact information, and a brief description of your legal problem laws.com will be able to put you in touch with Florida DUI lawyers in you area that will help you fight your DUI charge. When you are pulled over and arrested for a DUI in the State of Florida it is imperative that you contact a DUI lawyer. Florida DUI lawyers practice solely in the field of DUI defense litigation. By retaining counsel you have the best chance of getting your charges reduced or dropped. The idea of taking on the matter by yourself is illogical and you should definitely hire a DUI lawyer. Florida makes DUI a very serious charge and can lead to excessive fines, court fees, suspension of driver’s license and even incarceration. The penalties associated with a DUI charge can be severe and a you need the expertise of DUI lawyers. Florida has a legal limit of 0.08 percent. If you are caught driving a motor vehicle while under the influence of alcohol you will be arrested and charged with Driving Under the Influence of Alcohol. 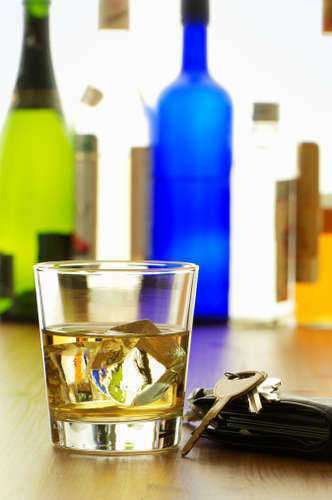 Florida DUI lawyers will be able to help you decide what strategy to take. Because the penalties associated with DUI can result in imprisonment you are allowed, by law, to take advantage of a court appointed attorney, however you will want to take advantage of private DUI lawyers. Florida DUI lawyers can negotiate lower penalties that will help you stay out of jail, avoid increases in automobile insurance premiums, and even prevent you from getting your license suspended. When you are arrested for DUI, Florida lawyers are an essential aspect of any type of valid defense. Representation by a Florida lawyer will not be cheap though. Depending on what your blood alcohol level was; how, or if you took a field sobriety or breathalyzer test, and whether this is your first, second, or third offense, the cost of representation can be expensive when representing for DUI. Florida lawyers will charge a flat fee to handle the entire matter.